Opera is a fast and free alternative web browser, that includes tabbed browsing, pop-up blocking, integrated searches. 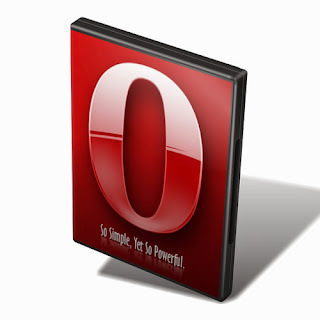 Opera 19 web browser is based on Chromium and Blink (the rendering engine used by Chromium). It has come up with bigger guns to enter the race for the most popular web browser, as the current leading role is played between Google Chrome, Firefox and Internet Explorer. It also has the advanced functions such as Opera Mail program, RSS Newsfeeds and IRC chat. 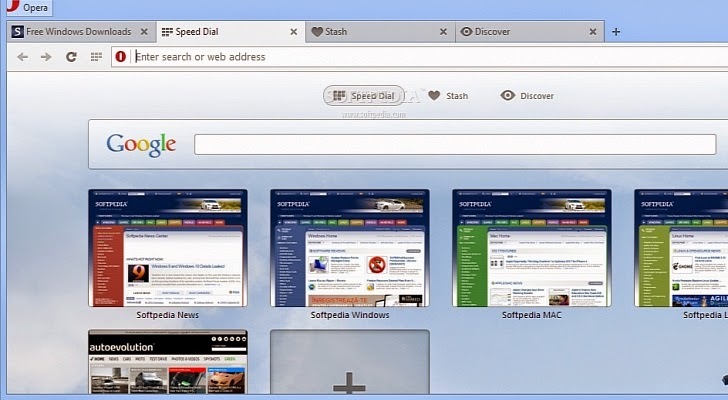 The web browser has one intuitive, powerful location for searching and navigating the web. Search using multiple providers and view site suggestions as you type. The Discover feature gives you top-quality news and entertainment from around the globe. The Bookmarks Bar is ready, you can enjoy better animations now, improved editing/deleting items on Mac and bookmarklets support. So yes, bookmarks support is on the road to hit final. You are now able to make your own themes in your desktop browser. Simply choose your picture and you are good to go. Make it yours. Make it beautiful.